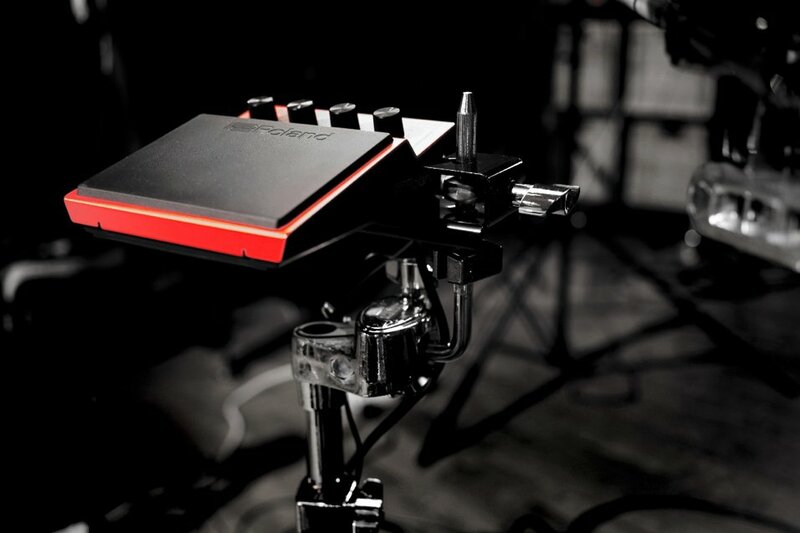 Roland has a simple idea: take digital drum pad hardware, and simplify it. What you get is fun and ready little boxes you can stamp with your foot, play with your hands, or hit with a stick. Instead of one big unit with a bunch of features or a whole electronic kit, the SPD::ONE line is four different compact units with particular sets of sounds. There’s a kick, an “electro” unit, a “percussion” unit, and a “WAV” sample loader. All four also double as MIDI controllers for your computer. I think people who never even thought they wanted a drum pad might suddenly decide they do. I’m not a drummer, but I like hitting stuff, and I sort of have rhythm. That counts, right? Today’s news kicks off another batch of products Roland is announcing online via stream rather than a trade show. Now, if you were hoping for a Boutique series 808 (or 727! ), you may be disappointed. But what we get instead, while showing Roland’s BOSS side, is also useful. Drag and drop sample import – on all but the WAV, you get one slot for up five seconds, 44.1 x 16-bit mono. The WAV gives you 4GB, and includes more options. Small and light: 2 lbs (900 g), and a sort of thick-ish palm-sized config, just 150 cm wide. The number of sounds (not including the WAV) isn’t immediately obvious. There are 12 banks, set by knob. The first 11 are presets, with each having a variation accessible via a small button on the front panel. The twelfth is your user storage. On the WAV, there’s a different configuration, but more on that in a bit. The price really says it all. 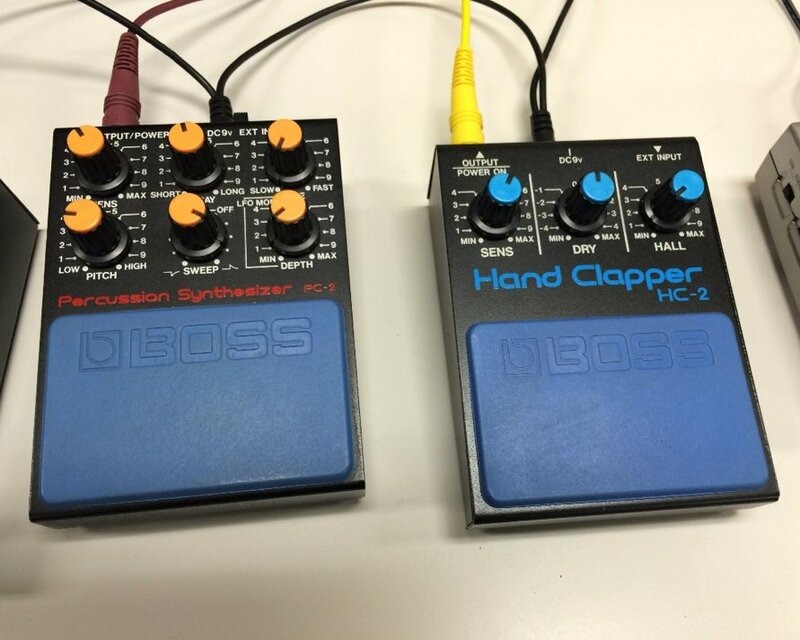 Something like Roland’s own Handsonic is way more powerful, but it’s also less portable – and it’s $900. It’s a different beast. This is more like an impulse buy you can add to an existing rig. Mounting hardware is included in the box. Note the sensitivity controls on the side. The electro comes with 808 and 909 sounds. Now, some CDM readers em>might opt for this over the WAV, just because there’s a built-in reverb/delay. The percussion is a bit like the electro, but with more realistic sounds (well, since now an 808 or 909 sounds like an 808 or 909 to us). It’s got the full range of greatest-hits percussion. It also has the reverb/delay. 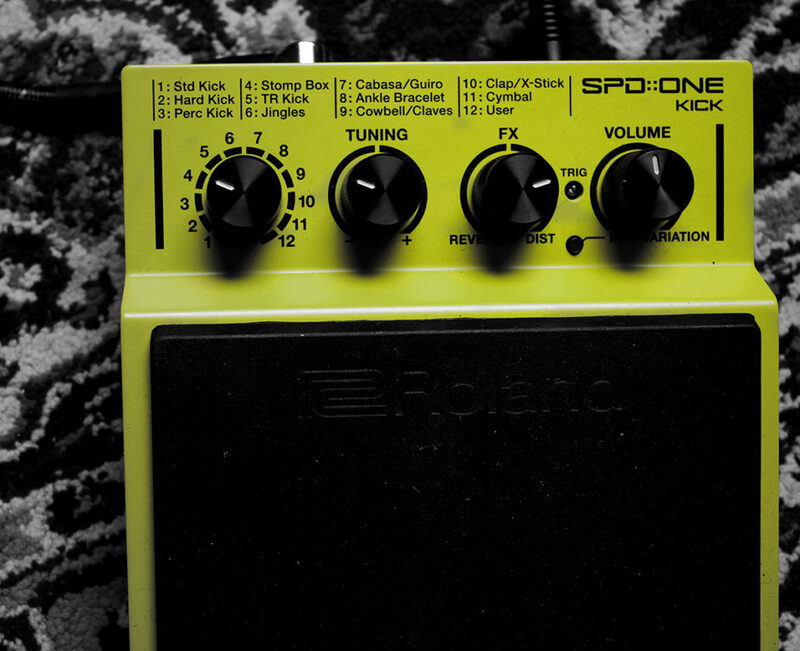 The kick is a bit of a misnomer – it’s more than just kick sounds. 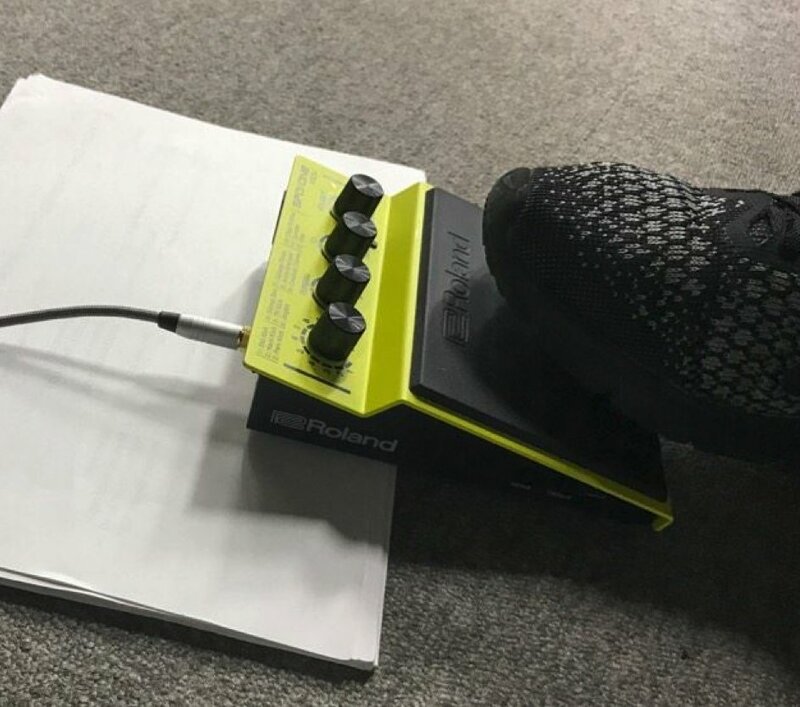 It’s more like a set of sounds you’d want to play from your foot. (You can do that with any of the units here, but this one is set out of the box with that assumption.) So of course there’s a TR kick, and some variations on acoustic kick drums. But there’s also a guiro, ankle bracelet, cowbell, clap, and cymbal. Instead of reverb/delay, this is the one with reverb/distortion. Prediction: the SPD:ONE WAV PAD is about to become one of those pieces of kit you see in live electronic rigs and drum kits. First, what you lose versus the other models: there’s no built-in delay/reverb, and you do pay another fifty bucks. But what you gain is 4GB of internal storage and more flexible playing modes. In place of the tune and delay/reverb knobs, you get a dedicated headphone knob and click/master mix knob. That means you have hands-on control over your monitor mix and can listen to a click if you want. And then there’s the various ways you can make use of that 4GB of space. It’s a bit hack-y, but that’s somehow cool. First, you bump up the hardware to stereo support in addition to mono. Click tracks. You can create a custom click and run that through the headphones, while playing at the same time. One shot mono: each additional trigger stops, then re-triggers the sound. Loop alt: trigger to start a sound. Once the sound ends, it will loop from the beginning. Trigger again to stop the loop. Phrase alt: trigger to start a sound. Once the sound ends, it will stop playing until it’s re-triggered.